By default all your courses will be public courses. But if you would like to make your courses to be visible to only a few students, to whom you send invite, to take up, then you would have to set the course as private course in Course Advanced Settings. 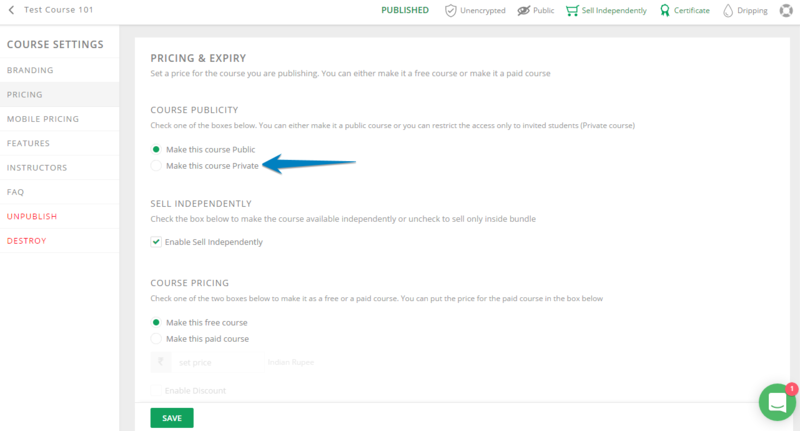 Go to Courses > [Your Course] > Course Builder > Settings > Pricing and click on Make This Course Private and save your settings.